The possibilities for wearable tech in the classroom have exploded in recent years. Now new technologies aim to blast educational and learning possibilities in to the 21st century. While you might think most wearable tech is aimed at entertainment rather than education - but that simply isn't the case. Big-budget games might take the headlines, but the possibilities for education are arguably just as exciting. With wearable technologies becoming huge in recent years, the solutions for education and improving classroom experiences have also seen a huge boost. We're going to look at how using wearable tech in the classroom could help revolutionalize the teaching industry and help take students learning capabilities to the next level. Wearable technology in the classroom is still in the early days. We can already see loads of potential educational uses for wearables like headsets and fitness trackers - but in many cases they're still just that - potential. One technology that's broken out and actually found itself being actually used in real classrooms across the world is Expeditions - an educational VR (Virtual Reality) platform that aims to provide creative and historical worlds for students to explore. Think ancient Egypt or the American west of the 19th century. 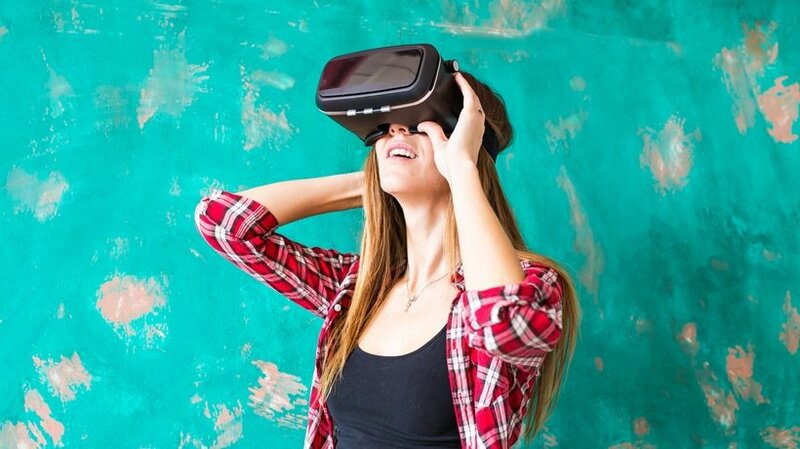 Virtual Reality solutions like Expeditions don't just allow students to view museum pieces anywhere in the world (from the comfort of their classroom), but they actually allow students to step back in time in order to enter an immersive recreation of ancient worlds and historical civilizations. The potential for VR in the classroom is obviously therefore off the charts - representing an engaging new way to learn on a level that has never been possible before. But it sounds expensive, right? Not necessarily. Few schools can afford the outlay when it comes to purchasing multiple VR sets. Some of these can run into the thousands of dollars each. While only purchasing one of these sets would still allow kids to improve their learning - you would lose the ability to interact and the opportunities that come from learning and socializing with friends interactively. There are low cost options, including simple solutions that allow you to turn a smart-phone into a lower-budget VR system. While these might not offer the same capabilities as high-end VR sets, they do offer a cost effective solution - one that could be taken up even in poorer economies. There should also be educational firms popping up that tour schools and offer the chance for students to use the higher-end VR systems without the school having to incur such large up-front costs. The possibilities for education and virtual reality really are exciting. Not only for teaching kids who can't always afford expensive trips or don't have the ability to travel far - but also for creating immersive worlds that simply aren't available in the real world. Like a dinosaur world or any historical civilization you can imagine - just slip the headset on and explore with your classmates and teachers. Google expeditions has over 150 immersive places for students to visit, including Mars. Google isn't the only player in this market, and potential uses look set to grow. While slightly different to VR, augmented reality has also begun offering a number of exciting solutions for the classroom. Some schools have already noticed the possibilities with regards to recording school trips and relaying them to students who couldn't travel. As well as this, the "Brain AR App" allows students to explore a huge brain in real time. These almost seem out of date by now, but you might be surprised to know that smart watches have only really been around for a couple of years. We'll start with the simplest, but perhaps most accessible education tool - the smart watch. In many ways, smart watches are about as useful as a smart phone or laptop - something people have been using in classrooms for a long time. You can take notes and record lectures to help revise later. However, their wearability does help make the watch more useful, especially in some types of classes. For physical education, the ability to record activity and share goals with classmates can make students feel more connected and motivated. It's just much easier to do that with a watch than when you're trying to hold your phone - especially if you're jumping around alot. For more sedate classroom environments, the wearability of a smart watch still makes it useful. You don't always want to get your laptop out for every class, and the watch can be a great way to take notes. With the right speech-to-text software, you don't even have to take them yourself. Apps like Instapper will also let you take a large selection of books with you and convert them into speech, meaning you can revise while you go for a run or are stuck in traffic. This is where things get really interesting. Muse is a brain sensing headband that uses 7 sensors to track brain signals (in a similar method to that used by heart monitors). This might seem a bit too futuristic for some, but it could provide teachers with useful data and show how students are reacting to lessons, and giving them pointers as to when they've "switched off". Muse could be a great tool for improving student engagement along with helping kids evaluate brain patterns for certain activities.